TESLA JUST KEEPS making cool things. 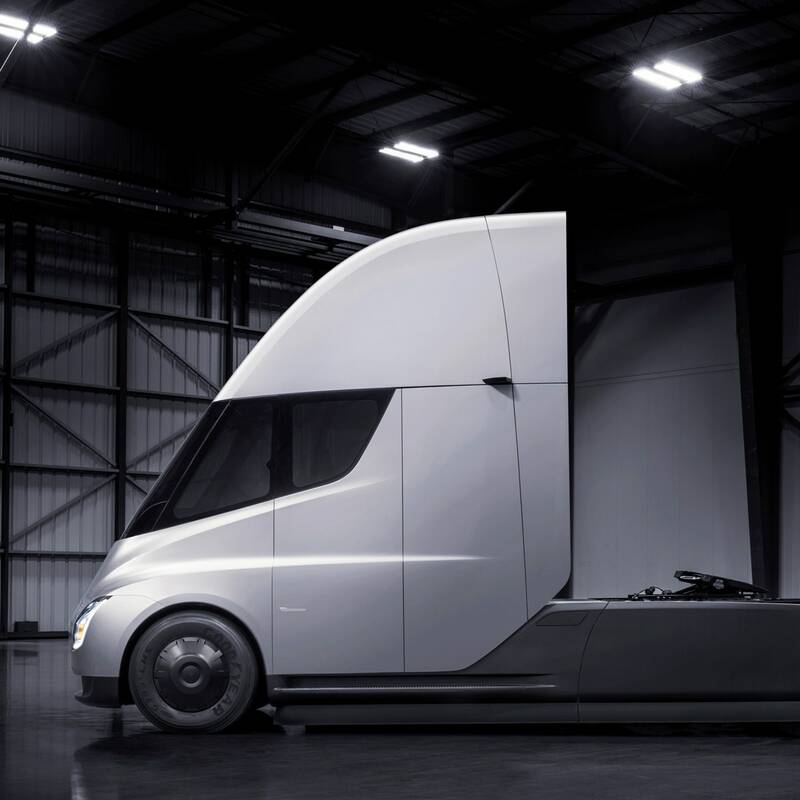 On the top of the list is its newest addition to the lineup, an all-electric semitruck. Oh, that might sound like a dumb idea—but I don’t think so. Just consider how much stuff is shipped back and forth across the country. Clearly a train would be more efficient, but trucks also play a large role. 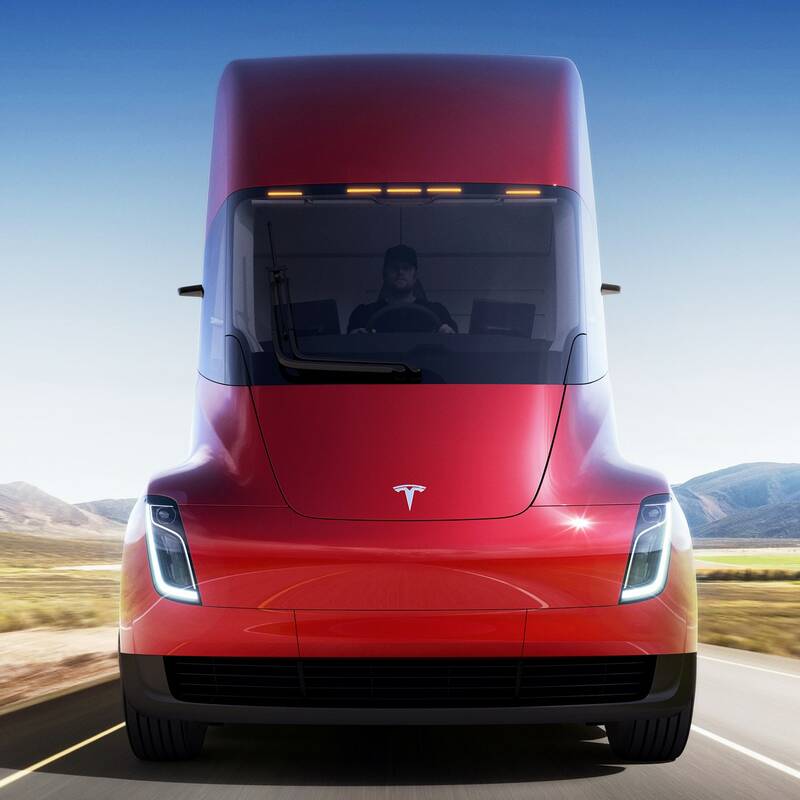 It seems like the Tesla semi might be able to make two improvements over a traditional truck. First, the electric truck will clearly reduce emissions(depending on the energy source to charge these things). Second, with more onboard automation it is likely these semis will be significantly safer than their diesel counterparts. But what if the Tesla semi also had solar panels? Elon Musk already has a whole company devoted to solar energy—why not just combine and conquer? Tesla and SolarCity are already teaming up to make solar panels, home batteries, and electric cars a unified energy system. 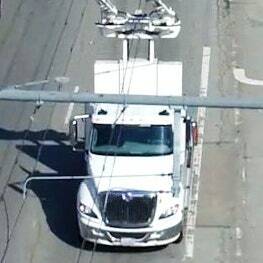 Wouldn’t slapping some solar panels on top of this truck’s surface area make the thing more efficient? You can only learn by trying—so I’m going to estimate the effect of solar panels on the roof of the trailer. How much power and how much energy (those are two different things) could you get from solar panels on the trailer? First, I guess I should point out the difference between power and energy. Power is the rate that you would get energy from the sun. At the surface of the Earth, the light from the sun produces about 1,000 Watts per square meter. In terms of energy, this is 1,000 Joules every second (assuming the panels are 100 percent efficient—which they’re not). Using those assumptions, let’s get some values to estimate power for a solar semi. First, I need to estimate the size. I’m going to say that the solar panel covers the entire top of a standard semi trailer. Since there are apparently different standard sizes of trailers, I am going to say this one is 2.6 meters wides and 15 meters long for a total area of 39 square meters. Second, I need both the time and average incident angle for the sunlight. I am going to use a time of 8 hours at 60 degrees from vertical. This is obviously an oversimplification of the problem, but good enough for a rough estimate. Oh, also I will use the efficiency of 20 percent. In order for the trailer solar panel to be meaningful, the energy you get from the panels would have to be significant with respect to the energy stored in the truck battery. Unfortunately, Tesla does not list the size of the battery in its truck. I’m just going to have to estimate it. Here’s what I know: It has a range of 500 miles and it’s sort of like a diesel truck (but maybe more aerodynamic). 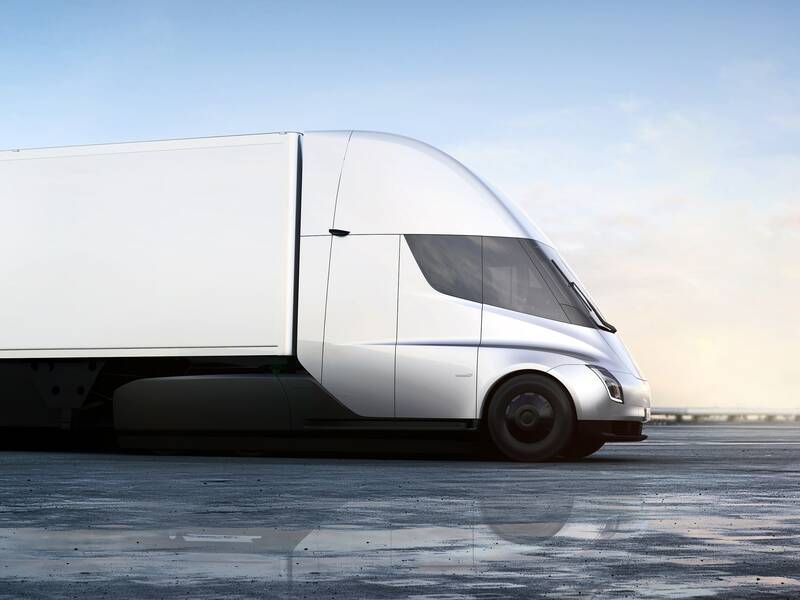 So, if I can approximate the energy used as a traditional truck drives 500 miles—that should be about the same as the energy stored in the battery. OK, that’s a lot of energy. Although the energy from the solar panel might seem like a large value, it’s only 2 percent of the total battery energy. Oh sure, there’s a good chance that I made some poor estimates in my calculation—but it probably doesn’t matter. Even if I was off by a factor of 5, I’m still only at 10 percent of the total battery capacity. This means that it would take 80 hours, not eight, in order to charge the whole darn battery. Sorry, Elon: This just wouldn’t work.